Sieglinde potatoes are an old German heirloom now available in the U.S. 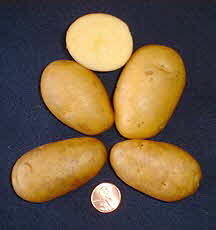 Produces oblong, yellow-skinned and fleshed tubers of the most delectable flavor. Preferred in European cuisine due to its thin skin.